We're Edmonton's Plumbers and our sole focus is to provide the best possible service to our customers in and surrounding Edmonton, Alberta! Why do we call ourselves "Edmonton’s Plumbers?" Because we love this city, and we want to be your plumber! Plumbing problems can often be stressful. We know that, and we want calling your plumber to be least of your concerns. That’s why we put an emphasis on courtesy and trust. From caring for the rest of your home as it were our own, to keeping our pricing honest and straightforward, Action Auger takes our motto seriously. "Can't say enough good things about your plumbers. Fast and efficient service at a reasonable cost. 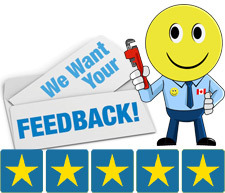 Very professional and the team of Trevor and Scott were thorough and meticulous in their service"
Anywhere in Edmonton or surrounding areas, we have certified professional plumbers waiting to help. This includes Beaumont, Fort Saskatchewan, Leduc, Sherwood Park, Spruce Grove, St. Albert, Stony Plain, Calmar, Wetaskiwin, Millet, Bawlf and Rocky View County. Give us a call! As you might guess from its name, a sump pump is a machine used to pump water away from a building to prevent water damage, or at least mitigate it. Water pumped from the home is redirected somewhere safer such as a dry well or the local storm drains. It had previously been considered good practice to redirect water into a municipality’s sanitary systems, but this has since been revised as it can put too much strain on sanitary sewers, leading to further problems. Redirecting water into sanitary sewers has even been outlawed in some municipalities. When evaluating whether or not you should install a sump pump, you should probably start by referencing local bylaws. In some places, sump pumps are mandatory in all locations, while others only require them in certain parts of the city or not at all. There might be tax incentives in some places to get one installed. When there is no legal requirement to have a sump pump but you think your home might benefit from one, consulting with a professional is the best way to find out about your property’s water table and the recommended approach. 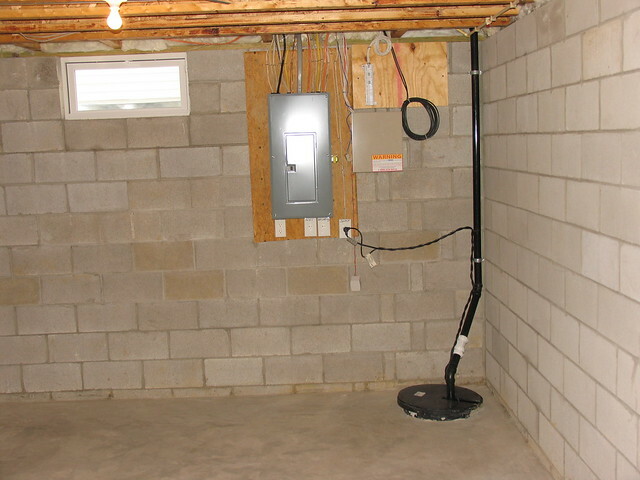 If your basement is exhibiting visible cracking in the outer wall, or if you are seeing mould growth or experiencing mustiness, you might consider asking a professional if a sump pump would be right for your home. Remember that sump pumps can be extremely helpful in averting some water disasters, but may be useless in an emergency unless they have some kind of backup system in place. Action Auger has experience assessing, servicing, and installing sump pumps. Feel free to give us a call – 24 hours a day – if you need expert advice on your sump pump. © Copyright 2019 by Action Auger Edmonton Plumbing.